Upon making the decision to attend college, various other decisions have to be made in preparation for one’s freshman year. The most important one among them is which college is best for one’s higher learning within Canada and/or North America. Since the Canadian education system is right up there with the best in the world, then there are some really good options out there. In this case, the University of British Columbia is pretty much a recommended choice here. The University of British Columbia, or UBC for short, is one of the top institutions of higher learning in North America. It was founded in 1908 as the McGill University College of British Columbia, so it wasn’t that long ago. It didn’t last very long under its original name either as the University became independent and adopted its current name in 1915, which was just 7 years after its founding. Despite its lesser age compared to other universities in other parts of Canada, it’s the oldest college in British Columbia and does have quite an extensive history on its own right. 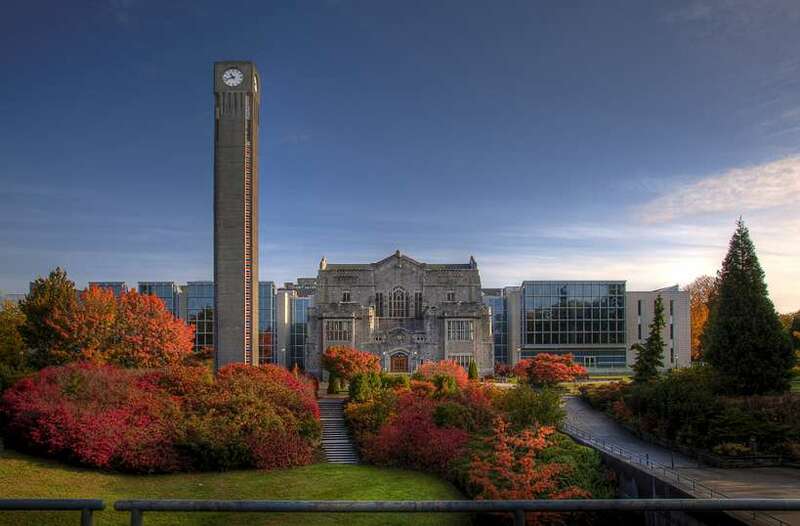 UBC is a fairly large school, offering degrees and diplomas in over 300 fields of study and over 12,400 degrees as of 2014, which means that prospective students are spoiled for choice in which major to take within its walls. Tuition fees vary between in-province, out-province, and international students. Perhaps it’s due to the University having one of the largest endowments in Canada per student. There is a whole lot of money that comes through UBC, with a very generous research budget that lets them fund thousands of projects and other endeavors. Its donors give $35 million in scholarships every year, which is a big part of why this institution has been the learning ground for many great minds over the years. If you’re particularly prodigious with your academic performance and UBC is in your radar, then you’re in luck. The University is divided into two campuses, the main one in Vancouver and the other in Okanagan. From them, through their faculty, alumni, and research department, the world was given 7 Nobel Prize winners, 69 Rhodes Scholarships, 65 Olympic medals, and 2 Prime Ministers. Not only is the University known for its academic achievements, but also its athletic pursuits. Their varsity teams are known collectively as the Thunderbirds in Vancouver and the Heat in Okanagan. There is so much to be had in the University of British Columbia, which so much knowledge and expertise all in one school. With almost 60,000 students, more than 300,000 living alumni across 120 countries, and connections to numerous prestigious groups and networks, you won’t feel alone at all if you choose UBC to be your second home. programs under Faculty of Medicine. Minimum final grade of 75% in either Eng11 or Eng12, including provincial examination, is required. Math 11 equivalent courses: Principles of Math 11, Pre-Calculus 11, or Foundations of Math 12. You can find all the details on the UBC admissions page. MCV4U (Calculus and Vectors) is also recommended for programs requiring MHF4U (Advanced Functions). The Physics requirement may be waived with scores of 86% or higher in Senior Level Math and Chemistry. Outstanding candidates missing either Physics 12 or Chemistry 12 (or their equivalents) are encouraged to apply and will be reviewed on a case-by-case basis. “The moment I realized I wanted to go to UBC, I was standing at the flagpole looking at the mountains towering behind the ocean. I was going to high school in Ontario, so my parents and I flew to BC to check out West coast universities while I was still in grade eleven. But, getting into UBC is no easy feat. I have always been a good student throughout school maintaining an average in the mid to high 80s. But at UBC everyone has that average, so I knew I needed to work harder. One of my toughest classes was English; I had always struggled with this course because I had been living in New Brunswick taking French emersion until fifth grade. I had to have tutoring outside of school when we moved to Ontario to catch up to my peers in English. In order to avoid a tough English test, I knew I had to graduate grade twelve English with a minimum of 80 percent and I made that my goal. I met with my English teacher regularly on during lunch hours and spent many evenings and weekends focused on my assignments. I also took the class in first semester in case I needed to boost my average with the exam. Be Organized: I applied to 6 different universities and in order to keep everything straight I had an extensive filing system to ensure I didn’t miss a deadline. This is easier now with calendars in your phones, so make sure you know when due dates are because that’s the worst reason not to be accepted into your dream school. Universities like UBC don’t accept late documents because of how many applicants there are, so stay on top of it. Stay Focused: I know it’s your senior year so spending time with friends is important, but it’s the people who find a way to prioritize school who are accepted. And just think, if you get acceptance early, then you can party all you want until the end of term. Be Keen: Show your face on campus, meet with the concillors and do all the campus tours. If you know fun facts about the school and are able to include that in your application some way, it could tip the scale. Follow up: If you can find direct contacts, who are all usually listed online, follow up or ask questions and say thank you. Thanks always goes a long way, and if you thank the tour guides, councilors, or whomever you’ve been talking to, it just might be what tips the scale in your favour.